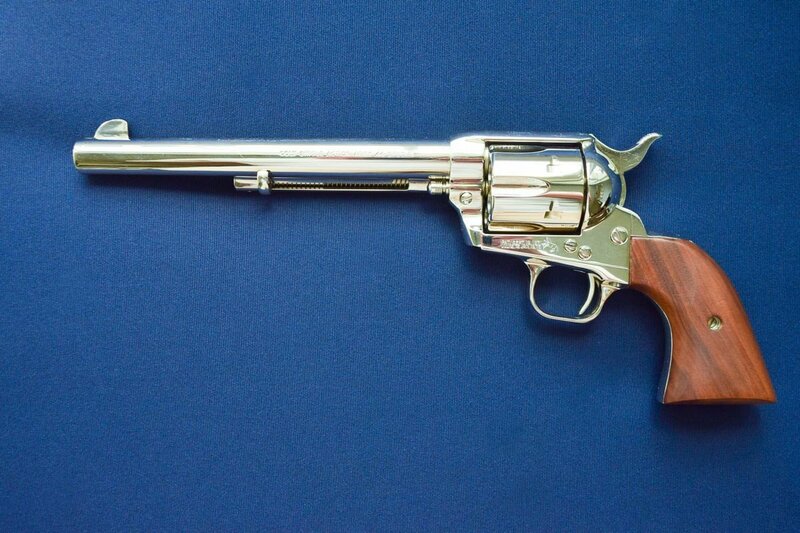 Colt Single Action Army 3rd Generation Model P1776 chambered in 44 special, SA35XXX manufactured 1980. 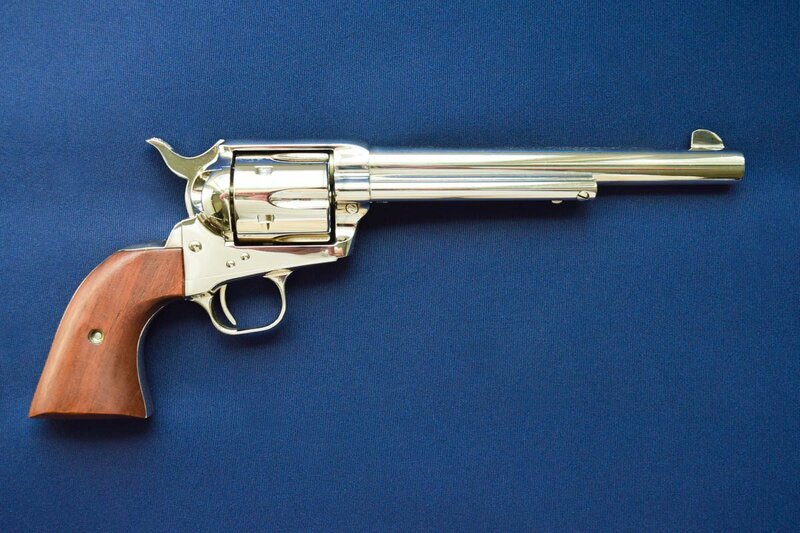 Colt Single Action Army 3rd Generation Model P1776 chambered in 44 special, SA35XXX manufactured 1980. 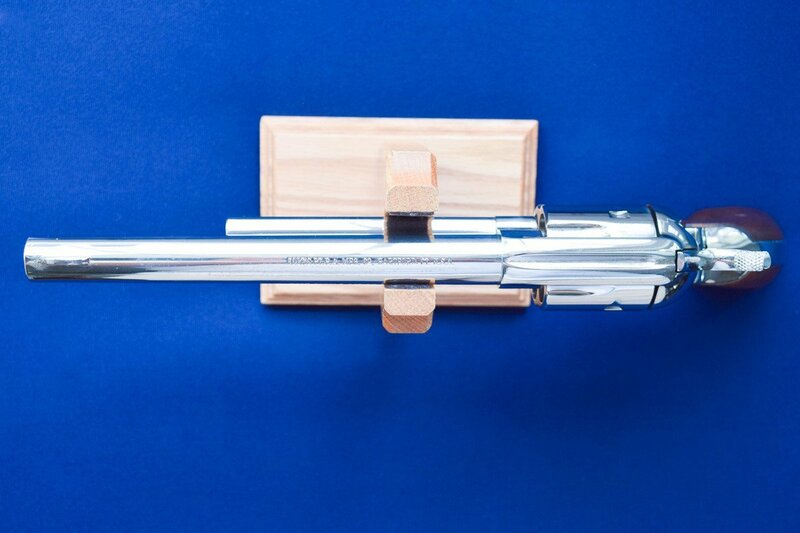 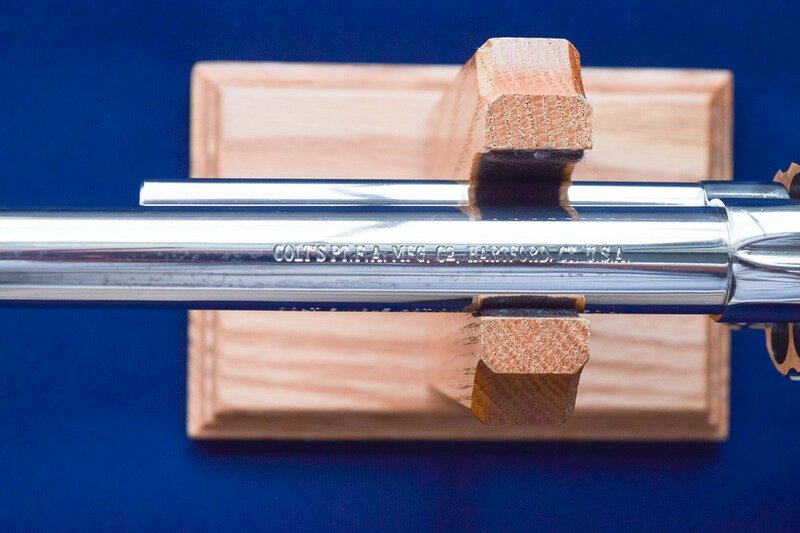 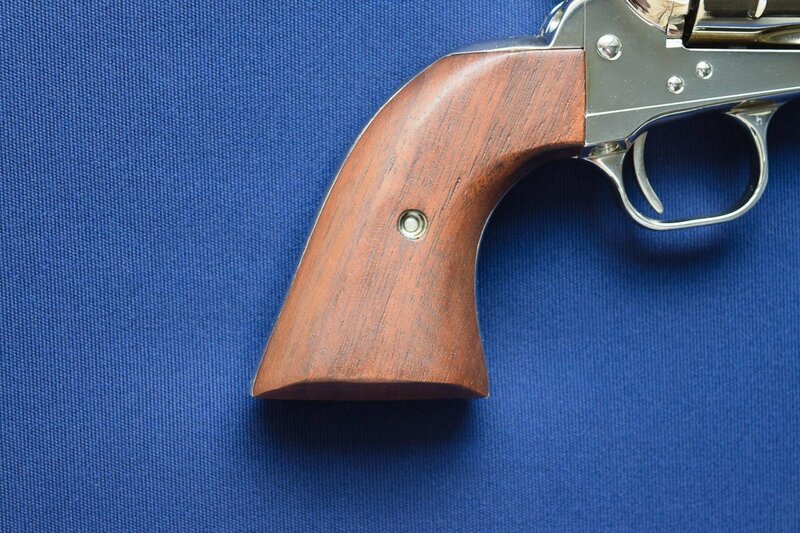 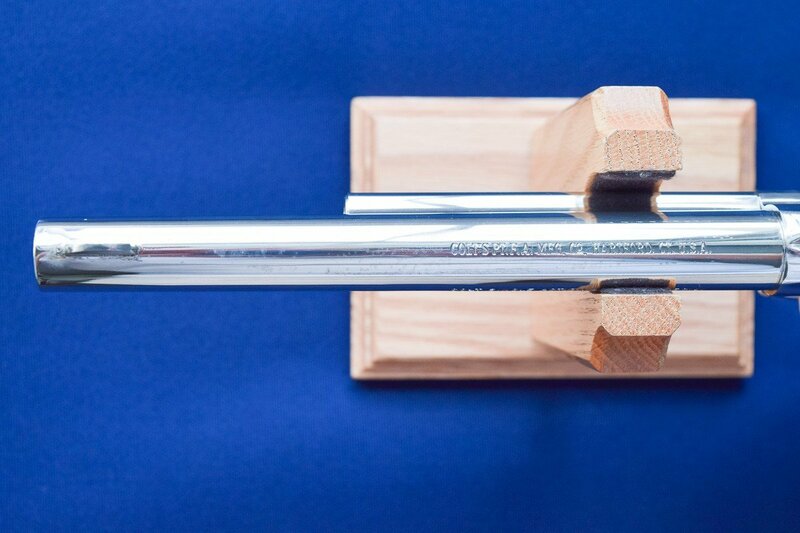 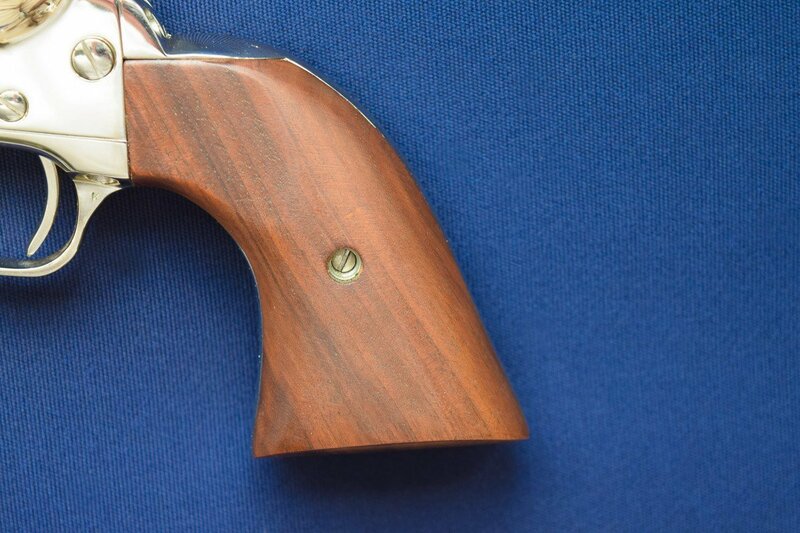 Features Nickel Plated finish with 7 ½” barrel, fitted with smooth walnut grips. 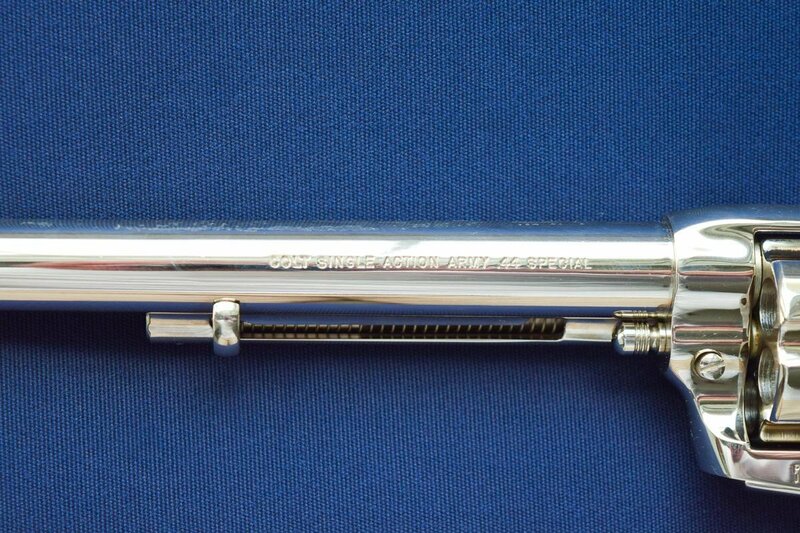 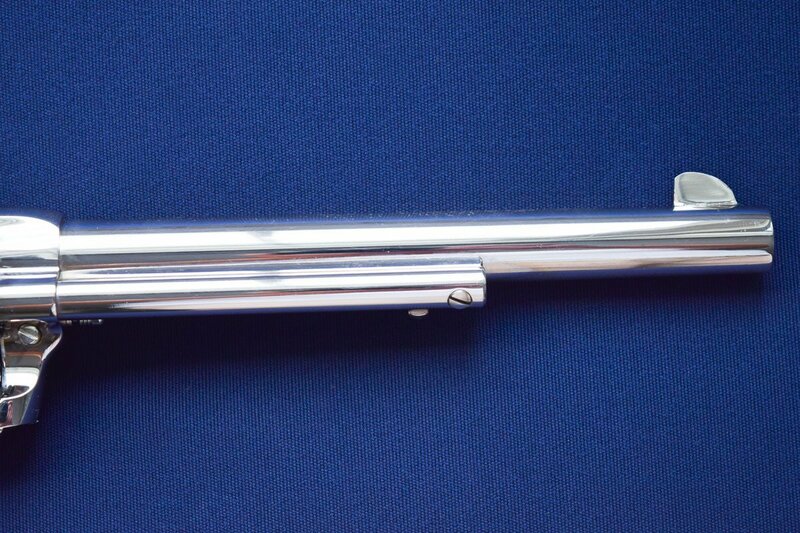 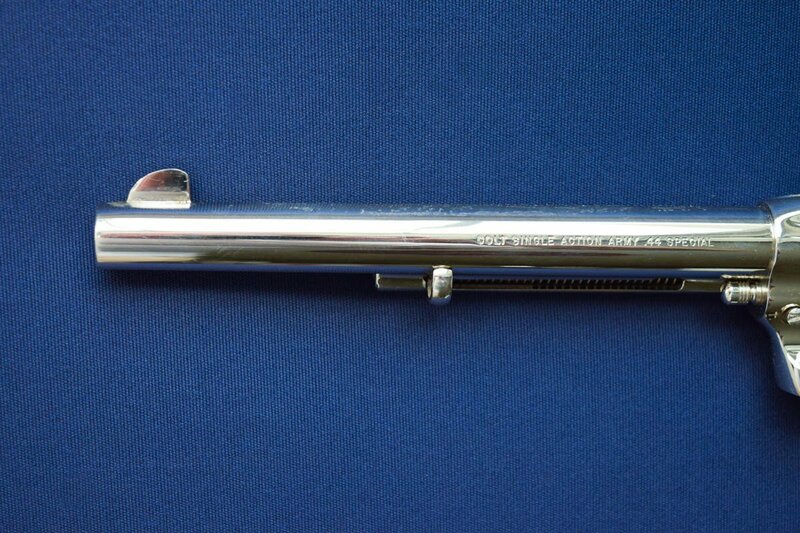 Excellent condition 99% plus showing only light handling marks with some scattered spots on top of barrel. 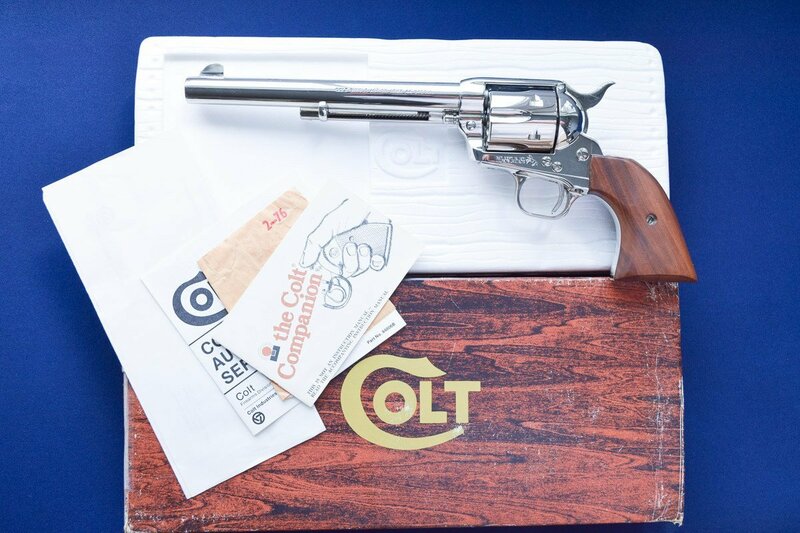 Complete with Colt woodgrain box with matching label numbered to the revolver & papers. 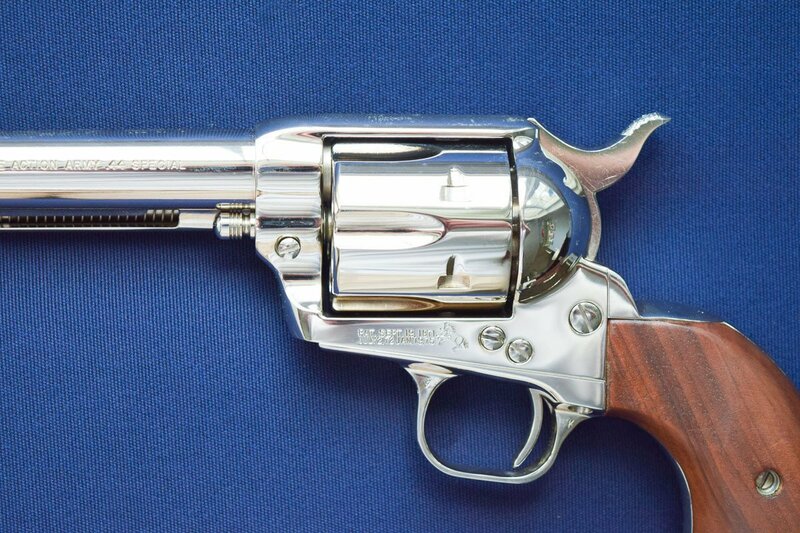 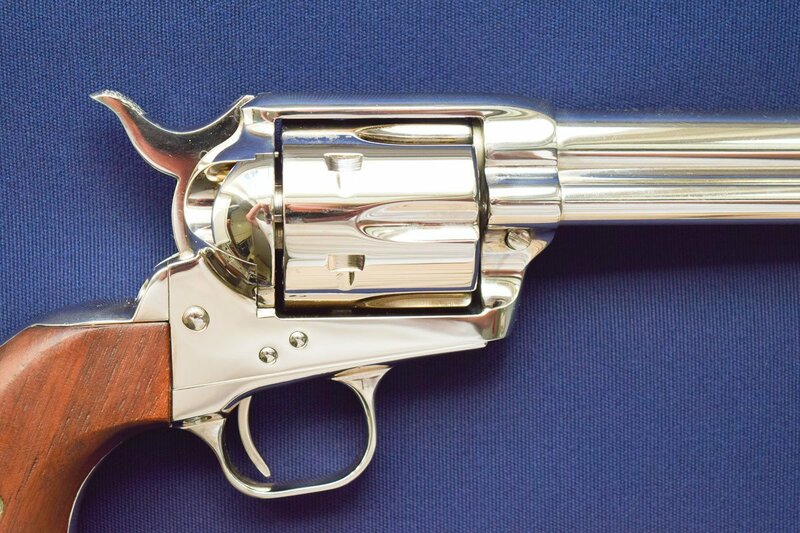 According to Don Wilkerson’s book, “The Post-War Colt Single-Action Revolver 1976-1986” this Colt is 1 of 1,541 produced in this configuration.